If you get arrested for DWI / DUIs, we can help. To begin with, Louisiana DWI / DUI laws are tough. 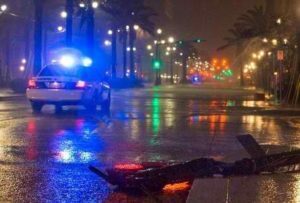 That is why you need the most diligent New Orleans DWI / DUI Lawyer the City has to offer. We will work to ensure that the process is fast, expedient, and judicious. 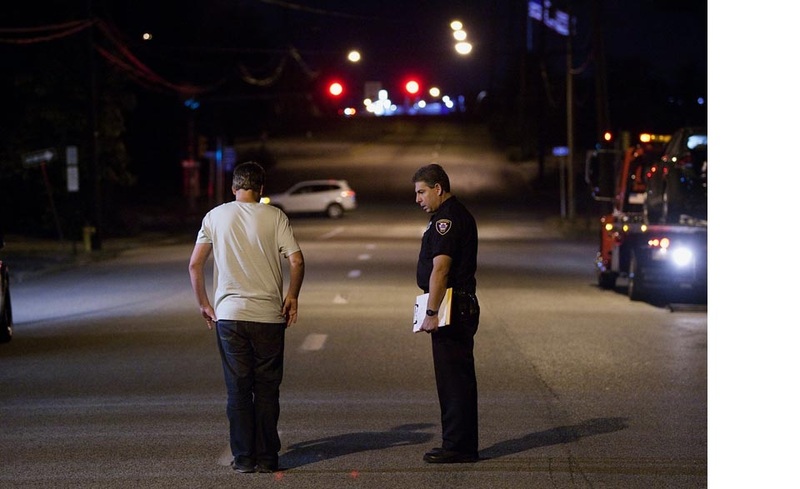 The attorneys of the Weiser Law Firm are experienced in the DUI / DWI laws of Louisiana. Looking for a diligent DUI attorney? New Orleans DWI attorney, Harold E. Weiser III, knows DWI laws. Louisiana has found an aggressive attorney who will fight for the best possible results. So, Call now to discuss your DUI. Louisiana attorneys available for free consultation. Just call (504) 358-CARE or 504-358-2273. You’ve been stopped, tested, arrested and cited for suspicion of driving under the influence of alcohol and/or drugs. You may have had your license confiscated, car impounded, and spent the night in lock-up. Additionally, you may face more jail time, the loss of your driver’s license, fines, mandatory DUI/DWI school, the tribulations of a trial, more problems and humiliations. You’re dispirited, depressed, anxious and overwhelmed looking for answers to solve the many questions and myth-information you may have received from friends and family. In conclusion, the only truly qualified person to answer your questions is an experienced and skilled attorney. In addition, Counselors can be by your side through the entire process, explaining the details of a DUI/DWI offense and the intricacies of your defense. But first, let us answer some of your very basic concerns. It is defined as the act of operating a vehicle under the impaired influence of alcohol (and/or other drugs, including over the counter drugs such as Nyquil or Benadryl, for example.) What does “under the influence” mean? The most common understanding of the term is when an intoxicated person’s judgment and motor skills are impaired or will interfere with the safe and prudent operation of a vehicle. Driving under the influence can be determined via a ‘breath test’, urine or blood sample. WHAT IS A .08 BAC? In every state the Blood Alcohol Content which determines a DUI/DWI is .08%. However, other factors may apply, such as driving with a commercial license, ‘zero tolerance’ for underage drivers who may be arrested for just having alcohol on their breath. The American Medical Association says that a person can become impaired when the blood alcohol level hits 0.05%. If a person’s BAC measures 0.08, it means that there are 0.08 grams of alcohol per 100 milliliter (ml) of blood. In fact, a police officer may make a judgment call and arrest anyone for being impaired even if their BAC is lower than .08%. It is a general rule of thumb that the consumption one standard drink (or one ounce of alcohol per hour) will increase the average person’s BAC to roughly 0.05%. Consequently, two drinks in one hour are enough to put you over the legal limit. WHAT IS A “BREATHALYZER” TEST? A breathalyzer is a device for estimating blood alcohol content from a breath sample. “Breathalyzer” is a brand name. Other names include, breathalyzer, Intoxilyzer, Intoximeter, AlcoScan, Alcotest, AlcoSensor, Alcolizer, and Datamaster. The alcohol concentration in the breath is related to that in the blood. Therefore, you can figure BAC by measuring alcohol on the breath. The ratio of breath alcohol to blood alcohol is 2,100:1. This means that 2,100 ml of alveolar (lung) air will contain the same amount of alcohol as 1 ml of blood. There are penalties for every state for the refusal of a DWI test. Most states allow evidence of that fact to be introduced. Although, generally accepted as a form of proof, breathalyzers aren’t always accurate. The validity of the testing equipment, the operator, methods and mathematical relationships for the measurement of breath and blood alcohol have been rigorously criticized. Plus, many everyday items contain forms of alcohol (asthma spray, cough drops and syrup, paints, even fingernail polish) which may cause a ‘false positive’ reading. Failure to submit to such a test may result in automatic suspension of a driver’s license. An officer may administer one or more standardized field sobriety tests (SFSTs). The Standardized Field Sobriety Test (SFST) is a battery of three observational and physical response tests administered to indicate impairment and establish probable cause for arrest. However, this is based on the arresting officer’s subjective opinion of impairment, which often can be inept and open to cross examination. Because of medical, physical or emotional reasons, many people should not nor cannot be validly judged by these tests. A suspended license is a common and often-overlooked matter related to DWI arrest. While it seems like a top priority, many arrestees fail to take the steps necessary to prevent license suspension prior to a DUI trial. We make our clients well aware of that vital and time-sensitive issue. Time is not on your side when it comes to preventing license suspension. You have merely 15 days to request an administrative hearing or you will lose your license for 90 days if you are over 21. Regularly, many defendants have lost their licenses due to that simple oversight. In short, let us help you take that important first step in handling a life-changing DWI charge. Call attorney Harold Weiser today. WILL MY AUTO INSURANCE RATE INCREASE? Consequently, After being charged most states will demand a SR-22 (high risk and therefore costly insurance policy). If you’ve been arrested for a DUI, Louisiana DUI attorney, Harold Weiser, has the answers you’re looking for. New Orleans DWI attorney, Harold Weiser, knows the DWI laws. Louisiana citizens have an attorney they can count on to protect their rights. So, Call us now for a free consultation (504) 358-CARE or (504) 358-2273. 1. You can refuse a field sobriety test. However, automatic suspension occurs for six months if you do. 2. This state considers DWI and DUI offenses to be serious. Louisiana law (R.S.14:98) provides that anyone over 21 years old and with a blood alcohol content of .08% is legally drunk. 3.) If your BAC level shows intoxication, you will be arrested for a DWI. In addition, in Louisiana there is only 15 days from an arrest for DWI (Driving While Intoxicated) to request a DPS (Department of Public Safety) hearing. Otherwise, your license is AUTOMATICALLY SUSPENDED. Under the age of 21? Intoxication is over the limit if you have a BAC of only .02%. It is a crime if the person is driving while intoxicated and their BAC tests at these levels. In addition, charges can be made if a minor is driving a car, boat, aircraft, or any other kind of “means of conveyance,” while under the influence of any other substances. What to do IF YOU’RE ARRESTED FOR A DUI/DWI? So, What happens after the arrest? That all depends. For example, was this your first drunk driving arrest? Maybe you can get a suspended sentence. Was your BAC over 0.15? If so, you must spend 48 hours in jail under the law. Do you have prior convictions? How many? A history of driving drunk can mean serious fines and lengthy jail time. Complications can arise due to complicated laws. Hence, there can be a variety of results depending upon a number of different contingencies. WHEN DO YOU NEED A DWI ATTORNEY? If you, or someone you know, has been arrested for DWI or DUI, it is very important that you hire an attorney fast. This ensures the result is the best possible. Deadlines under the driving drunk laws come very quickly, and they cannot be extended. Negotiating the different punishments (fines, suspensions, jail time, classes, etc.) under the law requires skill and experience. The Weiser Law Firm has extensive experience defending clients throughout the State of Louisiana for charges of Driving With Intoxicated (DWI) and Driving Under the Influence (DUI). If you have received a DWI / DUI charge, you need the best legal representation possible — which is why you need The Weiser Law Firm’s DWI/DUI expertise. In summary, our goal is to get you out of trouble by letting you keep your license, insurance, and freedom. The initial consultation is free, and it is with an experienced DWI/DUI attorney, not some member of the support staff. Let us help you by contacting us today. Give The Weiser Law Firm a call at (504) 358-CARE or (5041) 358-2273.